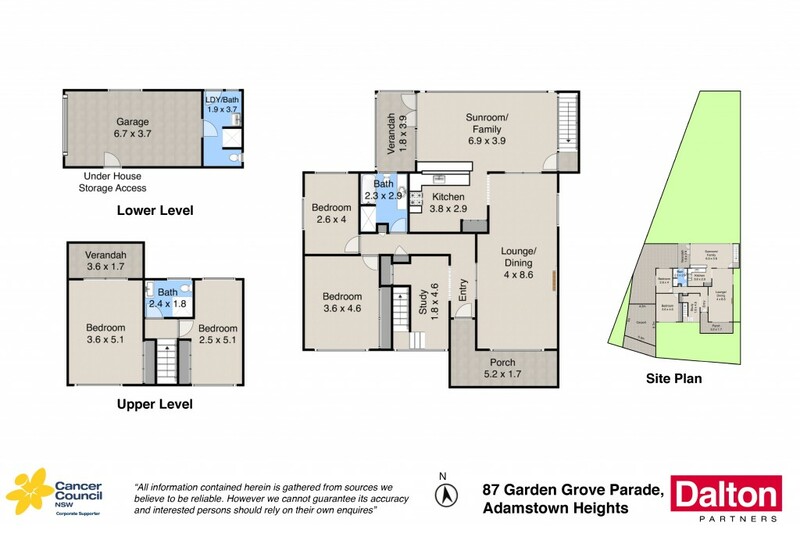 Gracing the ridgeline of old-world Adamstown Heights is a dearly loved family home of 60yrs. Designed by the Bollinger family, it broke the mould in Garden Grove Pde. The home's designer Judy Bollinger exercised her foresight in design trends when she steered away from the traditional Hudson home that lined the street in the late 1950's. The land at number 87, a wedding present from the parents, boasts stunning and uninterrupted views across the northerly Newcastle to Port Stephens landscape. Designed by a family of the sea, the home, chosen for its ideal south to north aspect, captures year-round warmth and cooling breezes and sits languishing in sunlight from dawn till dusk. The Bollinger family, whose name is synonymous with locally caught fresh seafood in the Newcastle region, were pioneers when they built this home and they have loved and nurtured it for a lifetime. The house features two bedrooms upstairs and two down. The floorplan allows for versatile and open plan living and the home boasts great potential for a deck to take in the stunning vista. Sit on the upper veranda deck, perched high above the city and watch the sunrise while listening to a magical dawn soundscape of a soothing city serenade and immerse yourself in the vibrant melodic birdlife. The home sits centrally in a great feeder school precinct with New Lambton South Primary, Adamstown Primary, Hunter School of Performing Arts, Merewether High, Kotara High and St Pius all in a stone's throw of the front door. Its close proximity to Newcastle's major shopping precinct Westfield, makes shopping a breeze, with beaches and inner city Newcastle nearby, the home is ideally placed at the centre of Newcastle's universe. This one is not to be missed! * 4 bedrooms plus 3 bathrooms, plus a study area. * Expansive formal living area plus family room. * Attic storage, double carport with original garage under. * Air conditioned, built in robes, full of potential. * Avant garde visionary original build. * Sits on an allotment of approximately 594m2.